Bottega was established in 1977 by Aldo Bottega, master distiller with more than 30 years experience in this sector, who inherited from his grandfather, skillful wine merchant during the 20s, the passion for the world of wines. In 1983, when Aldo Bottega died, his son Sandro took over as President of the company, with the help of his sister Barbara and his brother Stefano. Today Bottega produces grappa, liqueurs and sparkling wines and distributes its products in more than 120 countries worldwide. 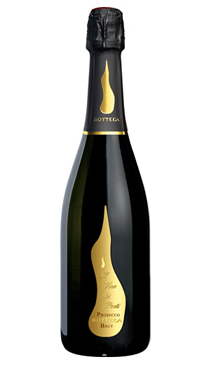 Vino dei Poeti Prosecco is produced by Bottega. It is a brut sparkling wine made in the traditional manner of Prosecco. It is produced with Prosecco grapes from the Conegliano Hills and is harvested slightly early to ensure lively acidity for freshness and structure.